18sep13-Who warned Duterte of plot against him? Who warned Duterte of plot against him? LIKE the New York Times being forced by President Trump to reveal who wrote its hot op-ed item on White House intrigues, President Duterte may find himself pressed to disclose which foreign power gave information on a destabilization plot against him in October. And just as NYT refuses to identify the author, described as a While House official, Duterte is not expected to name the “ally” that shared intelligence about the plot that was hatched, he said, by the Liberal Party, Sen. Antonio Trillanes (Magdalo Party-list) and the Communist Party. This is a serious accusation against the opposition. With no less than the President fanning speculation by withholding the source and other details, a free-wheeling discussion has ensued. The usual suspected source is the United States, which knows everything that happens or will happen in its former colony. This may be a slippery assumption, especially with Duterte saying that the US Central Intelligence Agency is out to assassinate him. Or did Duterte pick up the destabilization rumor during his sometimes awkward meetings last week with officials of Israel and Jordan? But note that both countries look too distant to bother eavesdropping on Manila. Closer to home, another possible source of reports of a conspiracy – assuming it is true – is China, which like the US knows everything about Filipinos who matter. Having forged mutually beneficial ties with Duterte, Beijing is interested in helping him consolidate power. There is also Malaysia. 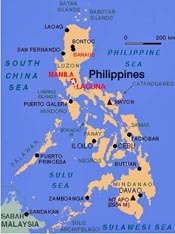 Although neighbors and co-founders of ASEAN (Association of Southeast Asian Nations), Manila and Kuala Lumpur have had uneasy relations on account of the unresolved Philippine claim on the Malaysian state of Sabah. Even as it played as third-party facilitator in talks between Philippine government panels and Moro rebel groups, Malaysia has not been able to put to rest suspicion that it was stirring up secessionist sentiments in Muslim Mindanao and sowing intrigue. On Tuesday, Duterte again mentioned the three-party plot in a two-hour TV dialog with his legal adviser Salvador Panelo. He first disclosed the plan to topple him upon arriving Saturday from Israel and Jordan. Duterte’s Q&A-like exchange with his lawyer, billed as a tête-è-tête, replaced the “President’s Address” that was announced but scuttled later for still unknown reasons. The duo did not take media questions after the show, an unusual conclusion for the event. We were expecting these items to be the likely subjects of the aborted “address”: more details of the LP-Magdalo-CPP conspiracy set to explode in October, the declaration of nationwide martial law, a multi-pronged attack on rising prices, and escalated action against Trillanes. • Duterte ‘nakoryente’ on October plot? DESTABILIZATION could be among the weapons of a political opposition. But we think it most unlikely that the three parties tagged by Duterte – the LP, Magdalo, and the CPP – could quickly lay aside their differences and act together to oust him next month. If some foreign power told this supposed plot to Duterte and he believed it, we think he was fed a bum steer. In local press parlance, nakoryente siya! Starting to explain our skepticism last Tuesday, we noted that Duterte’s conspiracy theory merely improved on the tale told by then President Marcos in 1972 to justify his declaring martial law so he could stay beyond the two-term limit and segue on to autocratic rule. While Marcos talked of only two forces – the elitist Right and the radical Left – conspiring to grab state powers, Duterte lumped together the three parties, and left out the CIA that he had accused of planning to assassinate him. We find it improbable that the three disparate parties named by Duterte could mount a serious destabilization as early as next month. They could, probably if they exploited the deterioration of the economy, over time — but not next month. The remnants of the Liberal Party are in disarray and in bad need of leadership and funds. Trillanes’ camp has some firepower but not enough to scare Duterte. The Communist seniors lolling in Holland have been reduced to a maudlin “Maalaala Mo Kaya?” club. With these anti-administration forces not primed for an October strike, what plot is Duterte warning against? Could a crisis develop from extreme economic woes and trigger widespread violence and lawlessness to justify martial law or a revolutionary government? Would the armed forces, assigned by the Constitution as the “protector of the people and the State,” be able to handle a fake crisis if one were to be mounted? Would the Supreme Court hear the people’s cries and defend their rights when threatened? As a crisis — real or contrived — builds up, we expect an escalation in the communications cyberwar. The objective is to gain the upper hand in manipulating the public mind in relation to situations that may arise in October and on to the May 2019 midterm election. With some 90 percent of the thinking population having access to cellphones and such devices, social media — not the traditional mainstream news and entertainment platforms — will be the crucial fronts in that war. Duterte has had the communications advantage since the 2016 election, but that has not saved him from fumbling planners and operators – as has happened a number of times recently. Such gut issues as rising prices of essential goods are distracting the target public. The economic stress makes people vulnerable to propaganda for or against the administration. The distraction is reinforced when such calamities as typhoons and floods hit populated areas.